It was one very busy day in South Dakota as we traveled from Black Hills to Mitchell. 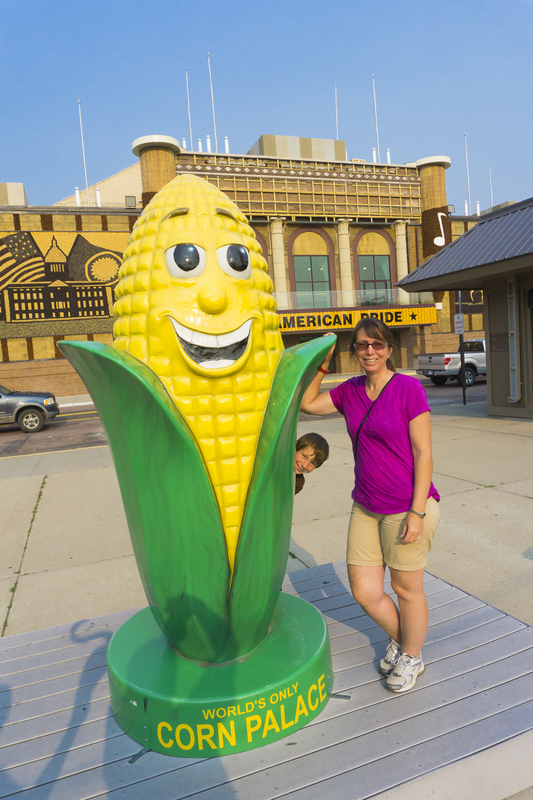 We would see four stops along the way including Wall Drug, Minuteman Missile Site, Badlands National Park (really) and the World’s Only Corn Palace! It was ambitious but we did it and enjoyed it all the way. 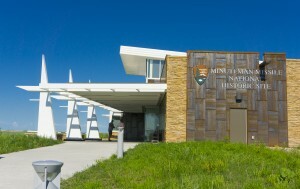 First stop was the Minuteman Missile Historic Site Visitor Center, but only briefly. 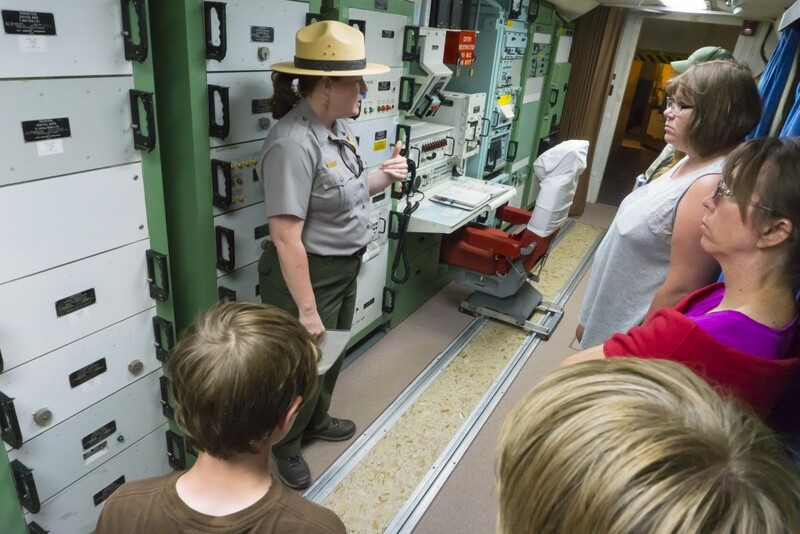 The important thing to know about seeing the Minuteman Missile Site is that you must have a ticket to tour the site and those tickets are ONLY available by request in person and on a first come first served basis. With fewer than 40 tickets available on any given day it’s important to get there early to assure an on-site tour. 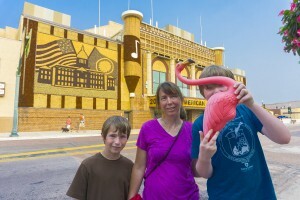 With Minuteman tour tickets in hand and a couple hours to kill till our scheduled tour time it was off to Wall, SD to visit the much-publicized Wall Drug Store. 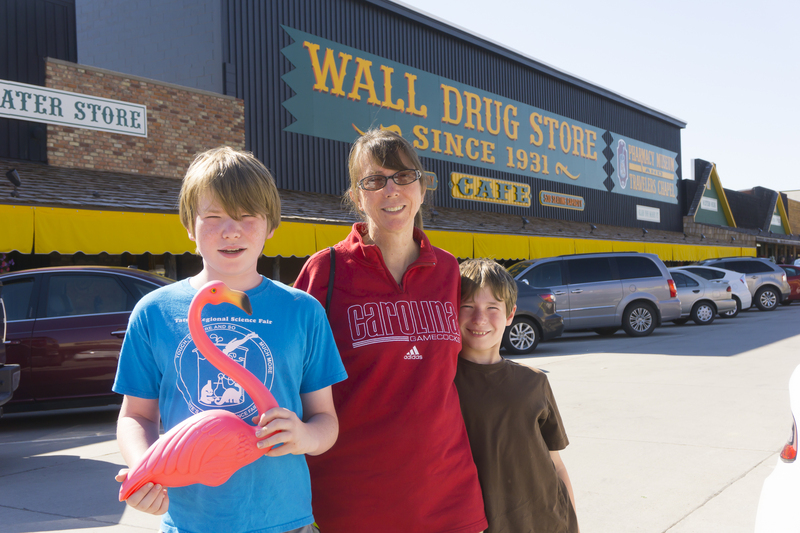 You can’t drive through South Dakota without seeing signs promoting Wall Drug. I swear they start popping up the moment you cross the state line into SD, maybe even before that. What started as a drug store over the years has transformed into a conglomerate of storefronts under the parent name. 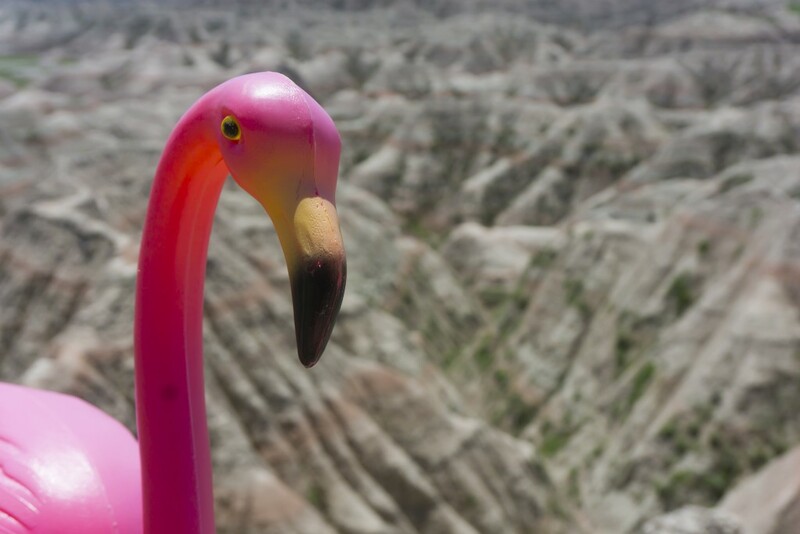 Every person can formulate their own opinion of what Wall Drug is be it brilliant marketing, tacky tourist trap, brash commercialism or something else. But you can’t deny that whatever they’re doing is making many people stop by to know about herbal medicine. 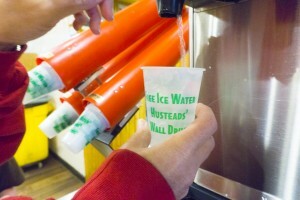 One thing you cannot miss at Wall Drug is your Free Ice Water! This and this alone is what made Wall Drug famous so many decades ago. So we made sure to get our ice water and didn’t leave Flo out on the refreshment. 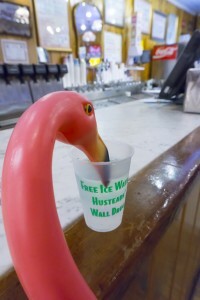 She took her drink and bellied up to the bar in the soda fountain to enjoy the cool refreshment. 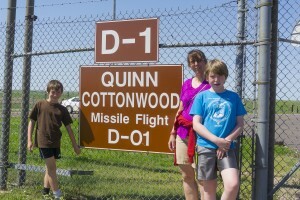 With stop number two taken care of it was back to the Minuteman Missile Historic Site but this time we’d be touring the Launch Control Facility (Delta-01). Located within sight of the interstate it was a bit mind boggling to learn what this otherwise ordinary looking building conceals. We were four of only seven people on this tour. This is typical as space inside the Launch Control Center (LCC) is very tight. Access and working space in the LCC was designed to accommodate only two individuals at any given time. 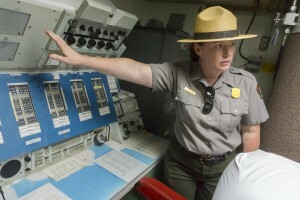 A National Parks Ranger provided a very informative and detailed tour of both the ground level support building and the underground control center. It was interesting to learn how much went into supporting the facility and officers stationed here, the processes used to receive, confirm, validate and execute launch orders (if needed), safeguards to protect against errors from many sources and so much more. It was enlightening and mind boggling to be sure. If you ever have a chance to tour this facility I would highly recommend it. Although it doesn’t look like much from the outside (by design of course), what you find hidden within is awesome indeed. 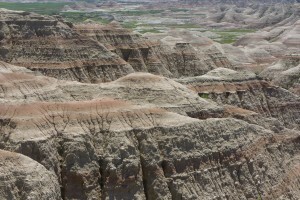 Stop number three of our day would be Badlands National Park. 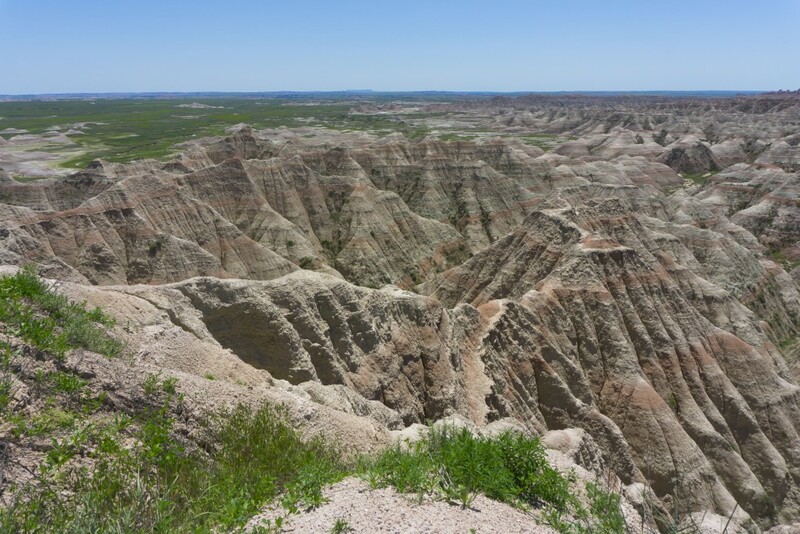 Yes, unlike our previous attempt we did actually make it to Badlands this time! We were really hoping for beautiful sunny skies as the Badlands can show off some spectacular colors given the right light. Unfortunately it was not to be. We had a generally overcast sky as we toured the grounds. Our visit was a bit brief owed to a day stacked with a heavy agenda and the family being somewhat burned out on scenery. The overcast skies didn’t help either. I grabbed photos at a few spots hoping to uncover the colors this landscape has to share and we moved on to the last sight of our very full day. Who’s that peaking from behind the big ear?! 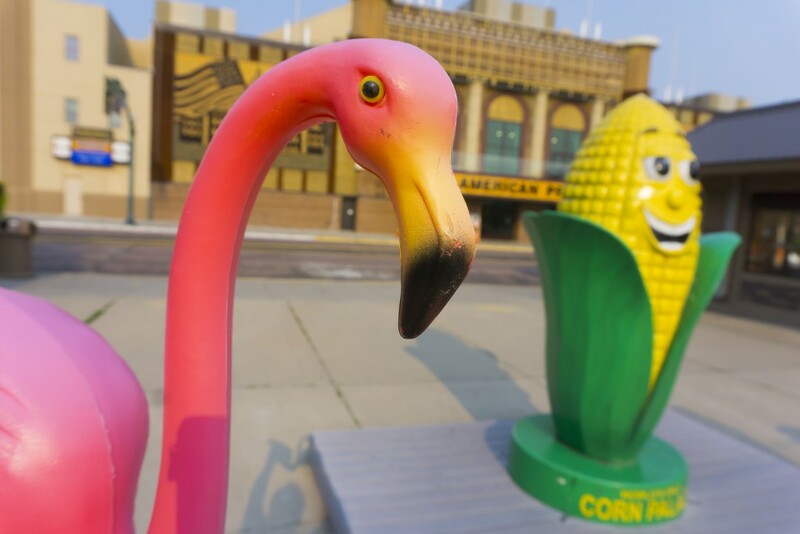 This entry was posted in Badlands National Park, Corn Palace, Destinations, Minuteman Missile Site, South Dakota, Wall Drug and tagged Badlands National Park, Corn Palace, Minuteman Missile, Mitchell SD, South Dakota, Wall Drug. Bookmark the permalink. According to my study, after a foreclosures home is marketed at a bidding, it is common for your borrower to be able to have some sort ofthat remaining balance about the mortgage loan. There are many loan companies who aim to supply fees and also liens paid back by the following purchaser. However, determined by selected programs, legislation, while stating legal guidelines there could be some lending options that aren’t effortlessly fixed from the shift regarding lending options. Consequently, the obligation still lies on the consumer which includes had their house in foreclosure. Many thanks for sharing your ideas on this blog.